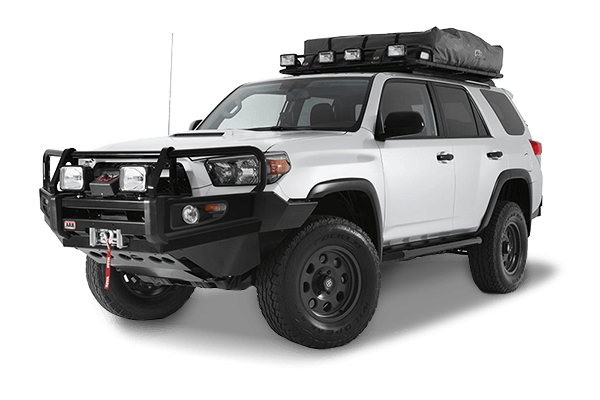 When you are serious about your off-roading and have kitted out your 4WD with the best engine and suspension options, then plan your trip and hook up your Cape York spec trailer and head for that hill on the horizon. Transmission performance upgrades should be at the TOP of your list if engine output is upgraded, or serious four wheel drive activities, such as beach work and towing camper trailers/caravans is anticipated. We have endurance and durability upgrade options available for most Domestic, European, and Japanese models. Ron Hill Auto & Transmissions are the experts at making and fitting the best available performance kits. We are also the official Sunshine Coast dealer and workshop partner for Australia’s own Wholesale Automatic Transmissions. Apart from the major brands and units listed below, we can work on pretty much all models on sale in Australia. A440, A440F, A340, A442F, A450-43LE and more. Extra oil cooling by way of a larger accessory cooler, which can drop the transmission temperature by as much as 10 degrees C. Coolers with their own fan and shroud are also available. The standard factory valve bodies suffer from warpage due to heat, we can perform a valve body overhaul resulting in increased line pressure and cooler flow. Lifting stall speed to allow for larger tyres. We also have transmission temperature gauge, override control switches etc available. 3N71B, 4N71B, F3A, F4AEL, F4EAT, G4AEL, RE4F02A, RE4RO1A, RE4FO2A, N4AEL Nissan Patrol units. These respond well to valve body reworking for increased line pressure and convertor lock up performance. Extra cooling, synthetic oil, and temperature gauge options avaliable. ZF3HP12, ZF3HP20, ZF4HP22, ZF5HP30, ZF6HP26. Mercedes 722 series. VW003, VW010, VW01N, VW01M, VW01P, VW09G, VW09K, TF60SN. Range Rover units. Upgraded gear sets and freewheel units (sprag clutches) are available for these transmissions. Some of the units are able to have ratio changes which may prove beneficial for rock climbing. Extra coolers, synthetic oil, transmission temperature gauge etc. 2 speed, C3, C4, C6, BW35, BW40, BW65, M85, M91, M95, M97, 4R100, E40D, BW M8, BW M12, AX4N, A4LD, F truck series Transmissions. Ford have limited the torque output of their diesel engine to make it easier on the transmission. This makes the engine chip tuners look good as they can unleash extra torque and horsepower, however the transmissions fail more easily as a result. There is a wide range of upgrades available to make these transmissions perform more reliably than a factory unit, especially for towing. We can also offer extra cooling, synthetic oil, valve body recalibration, temperature gauge and more. TH700R4, 4L30E, 4L60E, 4L65E, 4L80E, TH350, TH400, 5L40E, Hydramatic, Powerglide, Trimatic etc. Extra coolers. Kevlar based friction materials. Valve body recalibration. Larger servo for greater band clamping force. Synthetic oil. Higher stall convertor. Transmission temperature gauge and more. 45RFE, 545RFE, A404, A500, A518, A618, A604, A606, Powerflite, A904, A727. A repeat of the Ford series situation and again there is a host of upgrades and improvements available. Extra cooling, synthetic oil, valve body recalibration, temperature gauges and more.